(1)is that name suitable for its indigenes and the inhabitants? 2. State and community policing 3. Ban on all government officials from seeking medical care abroad 4. Implementation of the National Gender Policy, including 35% of appointive positions for women 5. Revival of Ajaokuta steel company 6. Generation, transmission and distribution of at least 20,000 MW of electricity within four years and increasing to 50,000 MW with a view to achieving 24/7 uninterrupted power supply within 10 years. 7. Empowerment scheme to employ 740,000 graduates across the 36 states and the Federal Capital Territory. 8. Establishment of a free-tuition and scholarship scheme for pupils who have shown exceptional aptitude in science subjects at O/Levels to study ICT-related courses. 9. 720,000 jobs by the 36 states in the federation yearly (20,000 per state). 10. Three million Jobs per year 11. To embark on vocational training, entrepreneurial and skills acquisition schemes for graduates along with the creation of a Small Business Loan Guarantee Scheme to create at least 5 million new jobs by 2019. 12. Churches and Mosques would not pay taxes under national laws, but if they engage in businesses, the businesses would pay tax. 13. Provision of allowances to the discharged but unemployed Youth Corps members for Twelve (12) months while in the skills and entrepreneurial development programme 14. Making the economy one of the fastest-growing emerging economies in the world with a real GDP growth averaging 10% annually. 15. Creation of a Social Welfare Programme of at least five thousand naira(N5000) that will cater for the 25 million poorest and most vulnerable citizens upon the demonstration of children’s enrollment in school and evidence of immunisation to help promote family stability 16. Recruitment and training of at least 100,000 officers into the Nigerian police force and establish a Federal Anti- terrorism Agency. 17. One free meal (to include fruits) daily, for public primary school pupils 18. Building an airport in Ekiti State 19. Eradication of state of origin, replacing that with state of residence to ensure Nigerians are Nigerians first before anything else. 20. Establishment of crime squad to combat terrorism, kidnapping, armed robbery, militants, ethno-religious and communal clashes nationwide 21. Working with the National Assembly towards the immediate enactment of a Whistle Blower Act 22. Economic stability for the ECOWAS nations and maintaining a strong, close and frank relationship with West Africa, South Africa, UK, USA, Canada, and other African countries 23. Establishing a conflict resolution commission to help prevent, mitigate and resolve civil conflicts within the polity. 24. All political office holders earn only the salaries and emoluments determined and approved by the Revenue Mobilisation and Fiscal Commission (RMFAC). 25. 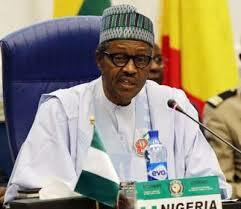 Permanent peace in the Niger Delta and other conflict prone areas such as Plateau, Taraba, Bauchi, Borno and Abia. 26. No plans to Islamise Nigeria. 27. Nationwide sanitation plans to keep Nigeria clean 28. Preserving the independence of the Central Bank 29. Simplifying immigration process to foster faster visa processing at points of entry. 30. Special incentives to facilitate the education of the girl child 31. Full implementation of the National Identification Scheme to generate the relevant data. 32. Making Information Technology, Manufacturing, Agriculture and Entertainment key drivers of our economy 33. Balancing the economy across regions by the creation of six new Regional Economic Development Agencies (REDAs) to act as champions of sub-regional competitiveness 34. Putting in place a N300 billion regional growth fund (average of N50 billion in each geopolitical region) to be managed by the REDAs. 35. Amending the Constitution and the Land Use Act to create freehold/leasehold interests in land along with matching grants for states to create a nationwide electronic land title register on a state by state basis. 36. Reviving and reactivating the minimally performing refineries to optimum capacity. 37. Creating additional middle-class of at least two million new homeowners in the first year in government and one million annually thereafter. 38. Creating an additional middle class of at least four million new homeowners by 2019 by enacting national mortgage single digit interest rates for purchase of owner occupier houses as well as reviewing the collateral qualification to make funding for home ownership easier, with 15 to 30 year mortgage terms. 39. Enacting a national mortgage system that will lend at single digit interest rates for purchase of owner occupier houses. 40. Injecting extra N30 billion into the Agricultural sector to create more agro- allied jobs by way of loans at nominal interest rates for capital investment on medium and commercial scale cash crops. 41. You farm, government buys, guaranteeing a minimum price for selected crops and facilitate storage of agricultural products as and when necessary. 42. Creating a national infrastructural development bank to provide loans at nominal interest rates exclusively for this sector. 43. Construction of 3,000km of superhighway including service trunks. 44. Building of up to 4,800km of modern railway lines – one third to be completed by 2019. 45. At least one functioning airport is available in each of the 36 states. 46. Ending gas flaring and ensuring sales of at least half of gas produced, within Nigeria. 47. Speedily passing the much-delayed Petroleum Industry Bill (PIB) and ensuring that local content issues are fully addressed. 48. Establishing at least six new universities of science and technology with satellite campuses in various states. 49. Establishing six centres of excellence to address the needs of special education. 50. Prioritising the reduction of the infant mortality rate by 2019 to 3%. 51. Reducing maternal mortality by more than 70%. 52. Reducing HIV/AIDs infection rate by 50% and other infectious diseases by 75%. 53. Improving life expectancy by additional 10 years on average. 54. Increasing the number of physicians from 19 per 1000 population to 50 per 1000 55. Increasing national health expenditure per person per annum to about N50,000 (from less than N10,000 currently). 56. Increasing the quality of all federal government-owned hospitals to world class standard within five years. 57. Ensuring timely payment of retirement benefits for all pensioned senior citizens and creating a poverty safety net for all aged citizens above the age of 65. 58. Amending the Constitution to require local governments to publish their meeting minutes, service performance data, and items of spending over N10 million. 59. Requiring full disclosure in media outlets, of all government contracts over N100 million prior to award and during implementation at regular interval. 60. Amending the Constitution to remove immunity from prosecution for elected officers in criminal case. 61. Initiating action to amend the Nigerian Constitution with a view to devolving powers, duties, and responsibilities to states in order to entrench true federalism and the federal spirit. 62. Reforming and strengthening the justice system for efficient administration and dispensation of justice with the creation of special courts for accelerated hearing of corruption, drug trafficking, terrorism and similar cases of national importance. 63. Establishing world-class sports academy and training institutes and ensure that Nigeria occupies a place of pride in global sports and athletics. 64. Reviving the Nigerian football league and putting incentives in place to make it as competitive as other national leagues. 65. Putting in place measures to identify talents early and ensuring their participation in local and international games to enable them become professionals. 66. Assisting Nollywood to fully develop into world class movie industry that can compete effectively with Hollywood and Bollywood in due course. 67. Ensuring that the rights of women are protected as enshrined in our Constitution. 68. Guaranteeing that women are adequately represented in government appointments and providing greater opportunities in education, job creation and economic empowerment. 69. Promoting the concept of reserving a minimum number of seats in the National Assembly for women. 70. Free maternal and children healthcare services. 71. Stabilising the naira. 72. Targeting up to 20% of our annual budget for this critical sector whilst making substantial investments in training quality teachers at all levels of the educational system (some other APC policy documents had 15%). 73. Ensuring compliance with policies and measures to halt the pollution of rivers and waterways in the Niger Delta and other parts of the country. 74. Adopting a holistic approach to erosion and shoreline protection across the country. 75. ECOWAS currency by 2020 under Nigeria’s guidance and leadership. 76. Maintaining strong, close and frank relationships within the Gulf of Guinea, the Commonwealth, South Africa and the rest of the world. 77. Establishing a new special relationship with the leading emerging markets like Brazil, Russia, India and China (BRIC) and other strategic partners around the world. 78. Government intends to commission a sociological study to determine Boko Haram’s origins, remote and immediate causes of the movement, its sponsors, the international connections to ensure that measures are taken to prevent a recurrence of the evil. 79. Strengthening INEC to reduce, if possible, eliminate electoral malpractices in Nigeria’s political life. 80. Improving operational and legal mechanisms so that disciplinary steps are taken against proven human rights violations by the Armed Forces. 81. Free education at primary, secondary and tertiary institutions for Science, Technology, Engineering and Mathematics (STEM) and Education. which of these promises have he accomplished totally without others complaining ? On July 14 2015, the Nigerian government says it has successfully jammed the signals of Biafra Radio, a new channel that has been accused of spreading propaganda, “Right now the signals from radio Biafra have been jammed successfully by the NBC,” Ms. Yemi-Esan said. On 11 jan 2015 Chief of Army Staff (COAS), Lt. Gen. Tukur Buratai in a meeting with Borno elders said Boko Haram has been defeated. Buratai said “We were given three major tasks and we have made efforts toward achieving two, “The first task is to defeat Boko Haram and I want to tell you that as at today Boko Haram has been defeated. also on 5th feb 2016 buhari was interviewed by bbc He said: “Well, all I know is that out of the 14 Local Government Areas in Borno State where they Boko Haram used to hold and hoist their flag, they are nowhere in charge of any of them again. But they can still regroup and go after attacking soft targets.” When asked if it was fair to say a group which killed over 65 people in a single attack had been “technically defeated,” the Buhari said: “Well, that’s your own description of it. My own description is that they can no longer mobilise enough forces to attack police and army barracks and destroy aircraft like they used to do. They can no longer do that.” recently Officials in northern Nigeria say President Muhammadu Buhari has exaggerated the military's success against Boko Haram after an American commander testified that the extremist group still holds territory. Appearing at a summit in Abu Dhabi in January, Buhari told U.N. Secretary-General Ban Ki-moon that Boko Haram was "currently not holding any territory today as we speak" — a claim that was met with skepticism back home.